Can I Take My Pet on the Trains in Italy? Good news: pets can travel on trains in Italy, so your furry friend can enjoy the trip as well. First and most importantly, dog owners must have a dog registration certificate and health card (or a pet passport), to be shown when purchasing the ticket for the animal and during transit if asked. If you don’t have the certificate onboard you could be fined and maybe be asked to get off at the next stop. 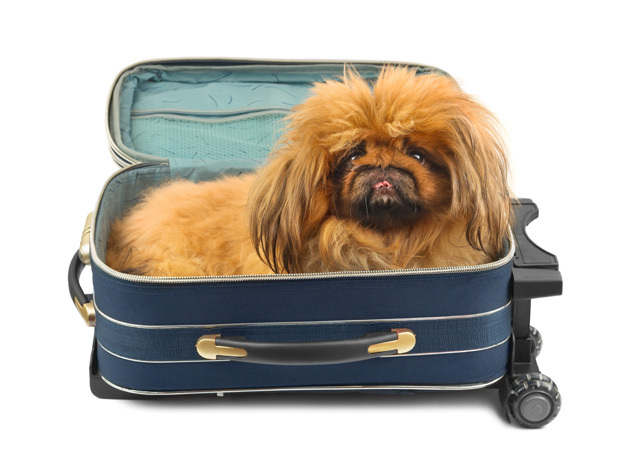 Small dogs, cats or other little pets that are kept in carriers no bigger than 25.5x12x15.5 in., travel for free in first and second class on all the different types of trains. Each traveler can bring only one container. For trains operated with ETR 450 carriages, the carrier and pet has to stay on your lap at all times. A dog of any size can travel (with a muzzle and leash) on Espressi (Express), IC and ICN trains in both first and second-class. On regional trains, dogs must sit in the aisles or go on the last carriage. The exception is during morning rush hour, between 7 and 9 am on weekdays, from Monday to Friday; during these hours you have to buy a second-class ticket for your dog at half off the standard fare. Animals may not take places reserved for other travelers and must be well behaved. If any disturbance is caused to other passengers, the train staff may require that the owner and animal move to another place if available or leave the train. Pets are not allowed in the Restaurant/Bar Wagons. Guide dogs for the visually-impaired can travel on all trains free of charge and are the only animals allowed in the Restaurant/Bar Wagons.